The Midwest PL Summit is an informal workshop to foster the exchange of ideas and to promote collaboration among faculty and students in the Greater Midwest area. Anyone interested in programming languages and compilers — including applications to areas such as systems, software engineering, and human-computer interaction — is welcome to attend. Our aim is to have a broad selection of talks and posters about ongoing research and any other topics that may be of interest to the PL community. There will be no formal proceedings, but abstracts and slides will be distributed on the web after the workshop. [Nov 11] Program drawn from 30 talk and poster submissions. [Sep 1] The National Science Foundation provides a generous award to support the Midwest PL Summit. The workshop will be held in Room 161 of the Eckhardt Research Center on the University of Chicago campus, located in the Hyde Park neighborhood several miles south of downtown Chicago. The map below identifies the workshop venue, the nearest bus and train stops, and the nearest parking garage. Strongly consider taking public transit, a taxi, or Uber. 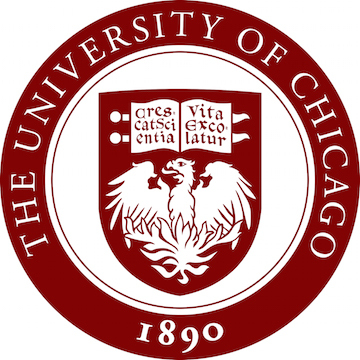 Depending on where you are coming from, there are several bus and train lines with access to the University of Chicago campus in Hyde Park. Recommended routes are the number 6 and number 28 CTA (Chicago Transit Authority) buses, and the Metra Electric District commuter rail line. Each of these three routes runs north/south between downtown Chicago and Hyde Park. Street parking and garages will fill up early in the day, so if you plan to travel by car to campus you should err on the side of arriving early. Ellis Garage is on the southeast corner of 55th Street and Ellis Avenue, and is one block away from Eckhardt Research Center. The Visitor Parking provides information about pricing ($25/day), as well as a map with other parking garages. The NSF has provided funding for a number of student travel grants to help pay for the cost of attending the event. Any student enrolled full-time at an accredited university or college is welcome to apply for a grant.